Ai Editorial: How agility is playing its part in payment optimization at KLM? Ai Editorial: A tailored payment infrastructure and the structuring of team internally, where multiple teams working in sync within an agile environment, paves way for payment optimization at KLM, writes Ai’s Ritesh Gupta. 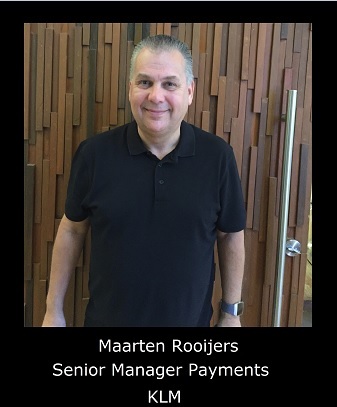 He spoke to Maarten Rooijers, Senior Manager Payments, KLM in Phuket recently. In an era where the number of ways in which a customer can pay has risen tremendously, facilitating such wide variety of payment methods can be an arduous task. A merchant today is possibly expected to facilitate a transaction via every point of interaction. In this context, an organization’s of KLM stature has led the way in embracing new technology and payment methods in a swift manner. Consumers are indulging in technology and making the most of new devices to simplify what they wish to do. They are shopping for various products, including travel, through “voice”. Seeking Alexa and Google Assistant’s help in one’s native language is becoming a norm, and brands like KLM are responding to this trend. The airline is allowing users to search flights by giving spoken instructions. Once a suitable flight is identified, a link to the KLM's site is provided to complete the transaction. KLM’s Blue Bot is based on artificial intelligence, which is linked to a combination of KLM and external tech. So how to optimize the payment experience by balancing the cost vs. revenue analysis or assessing the intangible value gained from any initiative? “There is a need to evaluate whether the new technology (or any payment method) would result in additional value for the customer as well as the merchant. It is the customer who decides how they wish to pay,” says Maarten Rooijers, Senior Manager Payments, KLM. Rooijers was recently in Phuket for Ai’s ATPS, where he explained the evolution of KLM's online payment strategy (alternative forms of payment online, leveraging social media, multi-currency pricing, roll out of mobile wallets, demo of payment via WeChat etc.). “Some of the new options to pay are being propelled by innovation in this industry. Some are also being facilitated by social media,” mentioned Rooijers. The Payment team works closely together with KLM’s Social Media team which is also part of KLM’s Digital department. “Apart from the Payment team coming with initiatives to add new Payment options, it is sometimes a combination of initiatives coming from our establishments globally and requests from our SM team. 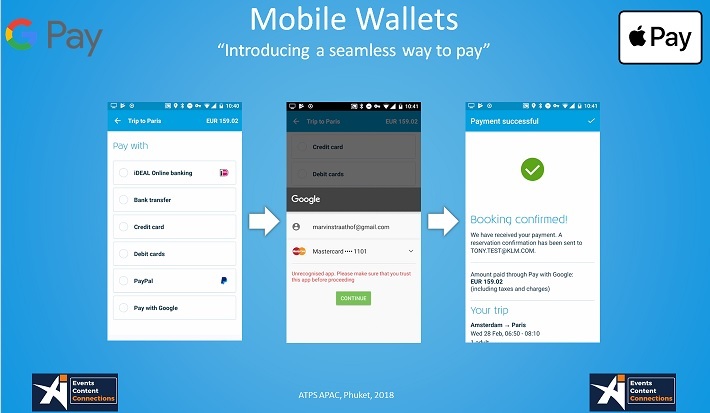 It is not just about adding Google Pay, Apple Pay, Alipay etc., but it also about making the booking process easier. As for the payment team, we chose to standardize the process. So rather than having a payment functionality in each and every front-end, it was decided to set up an independent payment platform or a payment engine. It is connected to “internal” customers/ front-end for payments,” explained Rooijers. The payment infrastructure and internal alignment paves way for payment optimization at KLM. “Internally, we started working via structuring or a framework like Scrum (to embrace agility). The number of product teams within the KLM digital is quite big. There are multiple teams working in sync within this agile environment, involving the front-end, back-end API teams, payments team…looking at implementing new projects/ features.” shared Rooijers. In the agile set up, how often does the payments team interact with the other teams? “It’s almost daily,” mentioned Rooijers. KLM is offering 80 alternative payment options, and 10 of them are from the Asia Pacific region.